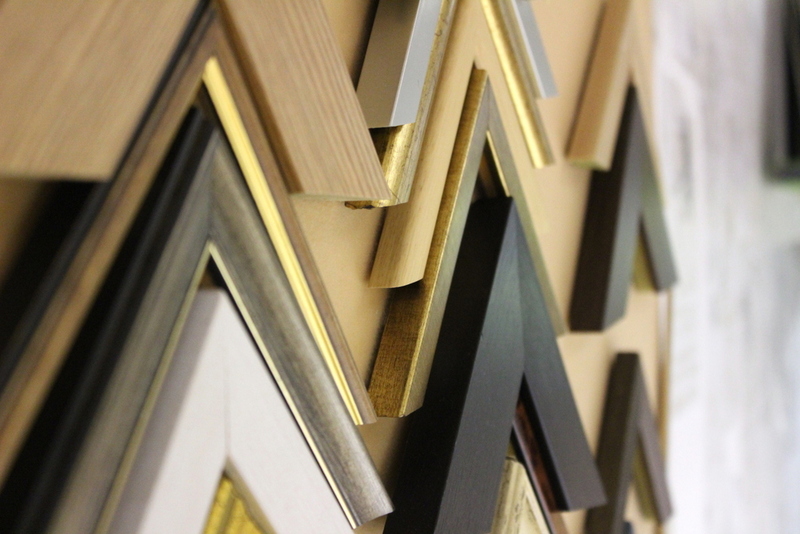 We pride ourselves on our high quality, handmade framing service but we also understand that it can seem a little overwhelming! Whether you have a photograph or a piece of art which you would like framing, it’s so easy to do and we here to guide you through the process. 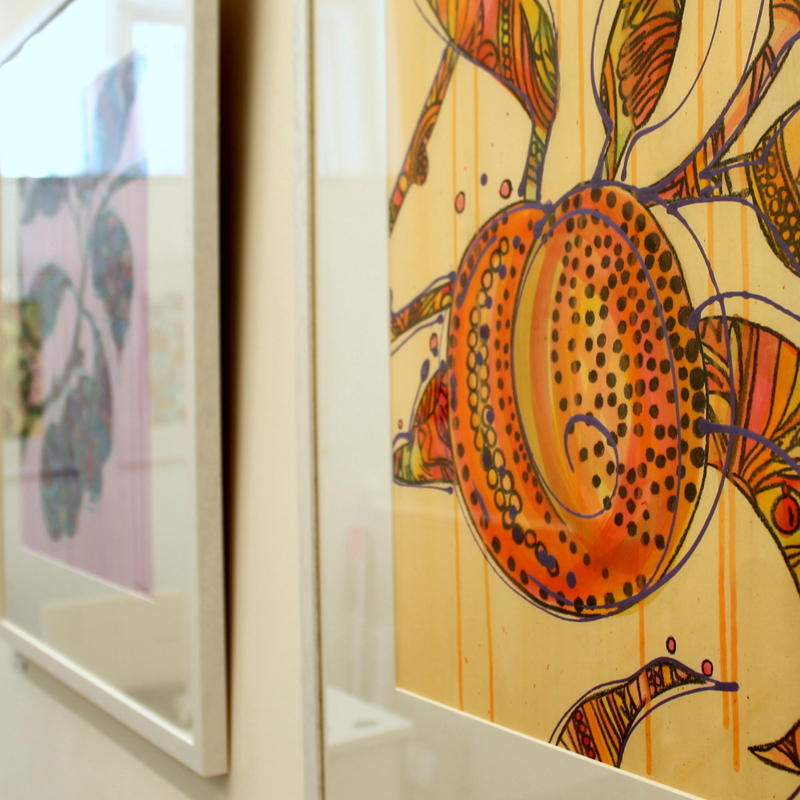 All work is completely bespoke and hand-finished here in Liverpool city-centre using a wide range of museum quality frames and mounts, as well as the option for specialist glazing to protect your work from UV damage. Not sure on what you want or how to go about having something framed? 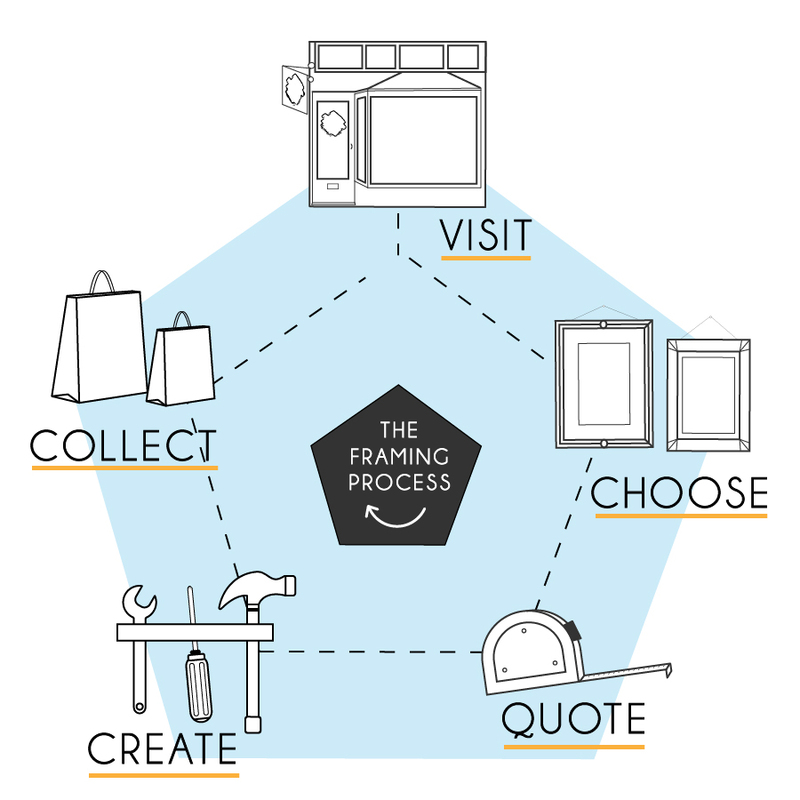 Here are the five simple steps of our framing process!  To start off the process you can either bring your art or picture into the gallery for us to see, or you are welcome to call or email us and we can help you from there. This is the best part of the whole process. 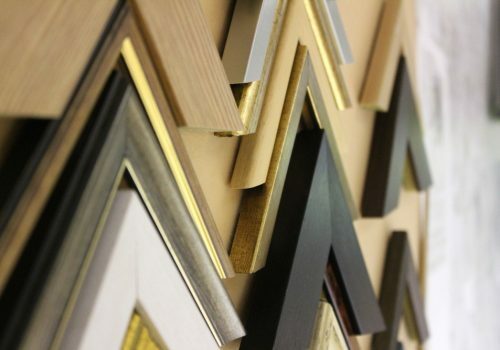 We can show you our selection of wood and polycore frames here in the gallery, or if you’re looking for something a little more niche, there are hundreds of choices on our framer’s stock website which we can select for you. If you don’t have a clue which frame will make your art look wonderful, or what will match with your home decor, don’t worry! This is our forte and we can give you a number of expert choices in a range of budgets for you to consider. 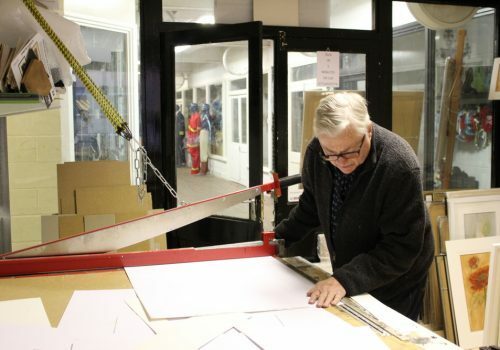 The three main choices we will guide you through are the frame itself (moulding), whether you’d like a mount (window of hand-cut card used to surround prints) and if you’d like specialist glass (glazing) to protect your picture from UV damage. If there is anything specific you would like, just let us know, no matter how unusual! Our gallery staff will measure your artwork here in the gallery (or you can let us know by email or phone) and will give you an approximate quote for the whole frame. If you have chosen to have a mount or specialist glazing, we will include this in your quote. 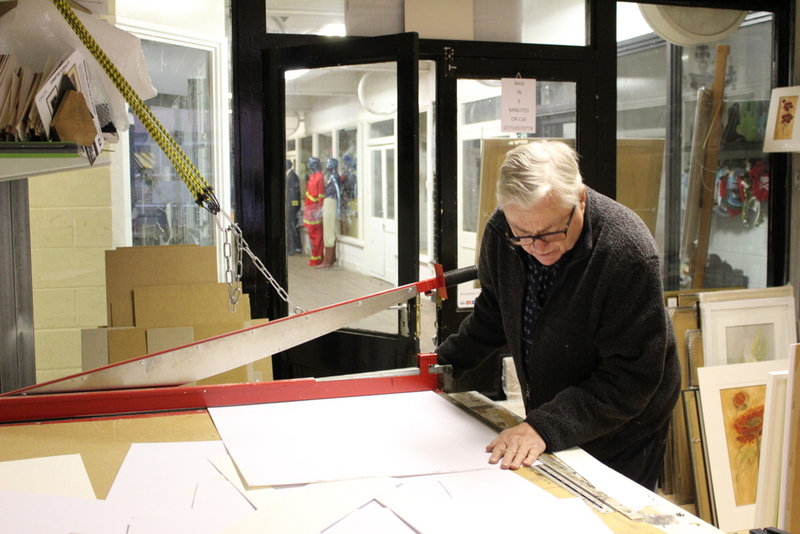 Once you are perfectly happy with your choice of frame, leave your art or picture with us here in the gallery and our framer will get underway creating the perfect, snug frame and hand-cut mount to display and protect your art for years to come. When your framing order is complete, we will let you know by phone or email when it it is here in the gallery ready for collection. You are very welcome to unwrap your frame here in the gallery to check that you are 100% happy. Payment is received when you collect your item. Step 6: Fall in love with your new piece of art!